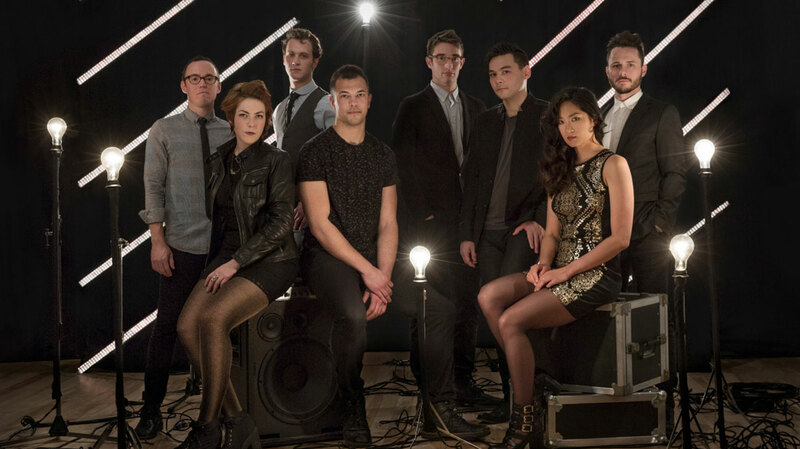 San Fermin are back with the follow-up to 2013’s self-titled debut; an album the New York City baroque-pop ensemble actually wrote twice. Here band leader Ellis Ludwig-Leone explains why he scrapped the original version of the record, and how love, guilt and fear all played a big role on Jackrabbit. We hear you wrote a version of this second album before your debut was even released. Why did you decide to scrap it? There was this really long period of time between finishing the first record and actually being allowed to put it out, so I started writing the second record. Basically, I felt like I was doing something very similar to the first [album], and then once we started touring, I really felt like San Fermin solidified into a band. It was a very informative experience – and really different than what I expected – so when I came back to the songs I just felt that they were not reflective of what the band actually was. So I went back in and ripped the songs up, added things, streamlined stuff and made it a little bit more up-tempo, just to inject it with the kind of energy that our live show has. You recently said that you’ve spent the past few years in “a constant state of semi-crisis.” Can you elaborate on that please? (Laughs) Once you’re putting music out, and you’re travelling all the time to play to audiences, you’re constantly questioning what it is you’re doing, and if you’re doing things right. At least, I am. None of that matters on the first record because, when you’re making it, you have no idea if anyone’s even gonna listen. But once people are actually listening and you’re meeting all these new fans, you want to make sure what you’re doing is representing yourself in the best possible way. Between that and the lifestyle of just being on the road – not sleeping, always loading in somewhere – it’s basically a real shock to the system. In a good way, I think! But at the same time, I felt like I was always half-way towards some sort of crisis. (Laughs) It’s good to have friends in your band at that point, because they can help you out with that stuff. I felt like I was always half-way towards some sort of crisis. As you mention, you’ve expanded San Fermin into a full ensemble project. How permanent is the line-up? Because, we know the first album featured Lucius on vocals, but they haven’t returned for Jackrabbit. Yeah, [the line-up] definitely changed a few times as we were starting to tour, and as we were beginning to realize how much the touring would actually encompass. But it really has been a very stable line-up for a year now, and I plan to keep it that way. Is there any collaboration between you all in the recording process, or are you turning up with a finished score, for them to play? You know, it’s a mixture. Generally it’s that, but in a live show there’s a lot more collaboration. Often, we’ll record a song exactly how it was written and then we’ll rework it a bit for the live performance. Live, I’m totally game for the musicians to adapt their parts a little bit. For the benefit of anyone yet to hear Jackrabbit, how do you see it differing from your debut? I think, as well as it being a little more up-tempo and streamlined, the songs are a little bit more aggressive, and maybe a little darker sometimes too. And things change quicker: on that first record things change from song to song, but on this one things can change 20 seconds into a song. So [Jackrabbit] is a very jerky ride, but I think a rewarding one. Were there any specific sonic reference points? No, I think on that first record there was more of that. On this one I was really trying to draw on personal experience more, and also just draw on the actual band members more. This time I was thinking, “Oh, this would be a cool part for a sax moment,” or whatever. The album was recorded with Peter Katis, at his studio in Connecticut. What attracted you to work with him? Well, he’s worked on a bunch of really great records, and they’ve all been very different. For example, he’s well known for working with Interpol and The National, but he’s also done stuff with Jónsi, which involved all these different instruments. So I really liked that he was able to turn a lot of instruments into a cohesive sound. Can you tell us about the themes on the record please? In general, I think it’s a record about identity. It’s about trying to figure out who you are and what your place is in the world, and your feelings towards growing up and romantic love and familial love. They’re pretty big themes I guess, but from song to song the character’s views on those themes change. You explicitly reference the film ‘One Flew Over The Cuckoo’s Nest’ on the final track, "Billy Bibbit". What was it about that film, and character, that resonated with you? There’s a scene in that movie where Billy decides he’ll go into the room with the girl, and he’s got all the weird guilt from his mother and problems about being intimate, and I think it’s just a really poignant moment. It’s something that I can relate to: the idea that you can find solace in love, versus all the weird fear and guilt you can get from that too. I thought it was a really interesting mixture of emotions. That was actually the first song I wrote on the record, and it really shaped how I went about writing the rest of it. Were there any other useful cultural reference points? Well, it’s always an amalgam and it all happens kinda early on in the process. Like, when I’m writing I’ll realize that I’m writing from the point of view of a character in a book or something. But that first record was more dependent on that, and with this album I tried to get away from that as much as possible, and write songs that were more specific to me. So I think Jackrabbit was a more personal record in that way. That must require more courage, because you’re putting more of yourself on the line? Yeah, I guess so. Except I still have other people singing it so.... (Laughs) There’s a buffer there, so that’s nice. What was it about the image of the jackrabbit that appealed to you? Well, I liked that a jackrabbit is a wilder, more intense, less controllable version of a domestic animal. I think that goes along with themes on the record. Right now, the one that I feel the strongest attachment to is probably "Reckoning" because I think it was the song on the record where I allowed myself to be the most open emotionally. It’s about having appreciation and love for someone, but it also doesn’t give too much so it’s not a love song at all. I think I found a nice mixture of feelings on that track, and it totally resonates with me. Is there anything you feel you’ve learned about yourself in the process of making Jackrabbit? I mean, there’s a lot. The reason that you’re writing these songs is that you’re trying to work through things that are in your head. You figure out how you feel about a lot of the stuff you’re writing about, then you can manage those themes and feelings a little bit better, in a personal, emotional way. So where would you like to be with San Fermin in 12 months’ time? I think it’s going to be an important year for us in terms of touring, because I think a lot of times people get [the songs] live in a way that they don’t always get from the record. I mean, it’s an intense record and they’re weird songs, you know, so what I’d like is for us to play the songs as well as we can, for as many people as we can, ultimately playing bigger and bigger rooms. Finally, what’s been your highlight of your time in the band so far? There have been so many. I guess one of them was playing at ‘Celebrate Brooklyn’ this past summer. We were opening for St. Vincent, in front of a large crowd, and it was basically five minutes from my house, at this place I’d seen so many shows. It just felt like a milestone for the band; as did playing at the Lincoln Centre, a few months ago. For every grinded-out tour, there’s been a lot of peaks, and moments where you really see things moving forward.